The idea of code to create came into existence around the middle of February and this idea took the team countless hours of brainstorming, sleepless nights and valiant efforts by the tech team to be transformed into a phenomenon we saw from 13th to 15th of April. 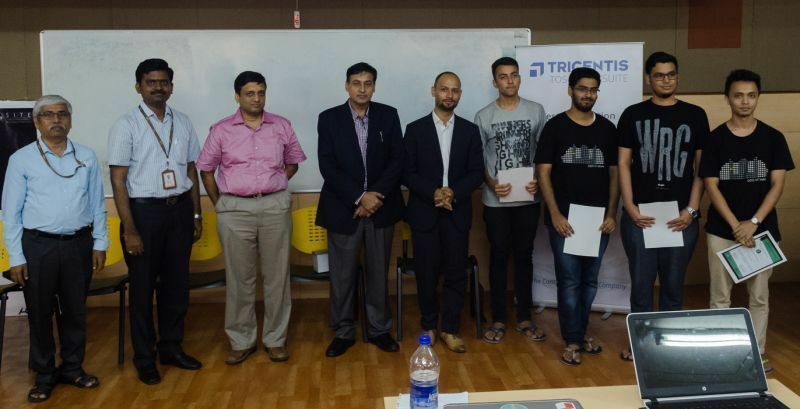 It all began by extending gratitude to the title sponsors Tricentis Technology and Consulting GMBH and Transitus India for the constant support and belief. Following this, we had an introduction to the guests (mentioned later) and The co-sponsors were given their share of recognition which included Aakash Oil Field Services Pvt. Ltd., Dakshinamurthi Tiles, Cloud Partner Digital Oceans, VBC the media partner, AIESEC. 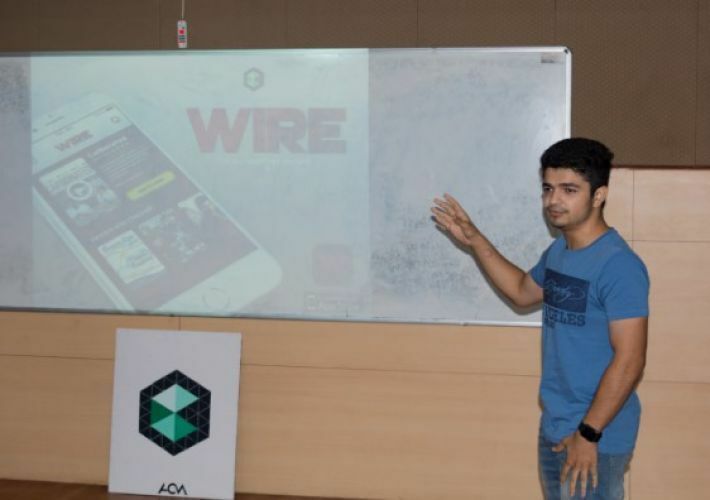 The following were the collaborators who provided ACM with challenging industry standard problems which the participants worked on for the next 36 hours Vicara Tech, Paypal India, Metaverse, Winuall.com, and Cardia. The faculty coordinator of ACM VIT Dr. Hari Ram Vishwakarma was called upon after gratitude was raised for him. He gave an insight of all the brains and brawns that were put together for us to be there in the code to create. Dr. Vishwakarma’s speech was followed by the principles on which ACM VIT works by SA, The Dean of SITE was later thanked for generosity and willingness and the help to carry the logistics forward and was asked to share some knowledge with us. 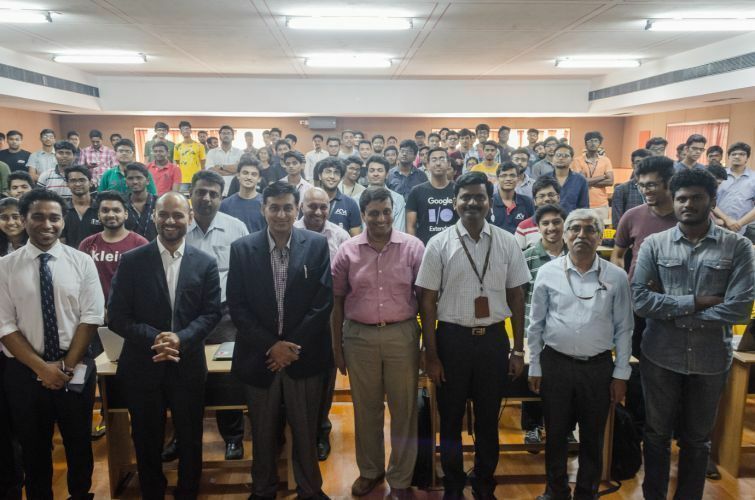 Members of ACM VIT started explaining all the technical details mentioned below in a way which is “beyond all appreciation” everything was clear as crystals and instructions were followed like the guardsmen. The rules described after a few guests were introduced (all the guests are covered at the end). 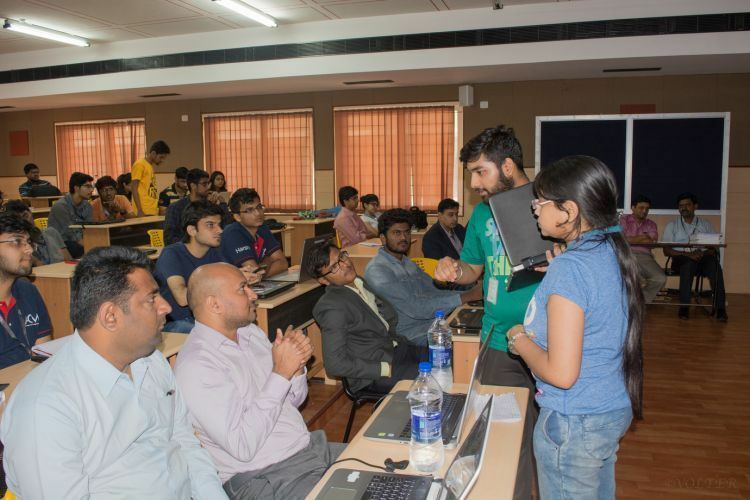 First came “Track Allotment” it stated that Code To Create is categorised in 4 tracks which include AR/VR Fintech Clean Energy and last but not the least Healthcare Each Track compromises of a number of challenges a maximum of 6 teams were allowed to the same challenge and a maximum of 15 teams on 1 track. Track registrations started at 7 p.m. on priorities mentioned during registrations. Next came the technicality of Technical Inspections where Codes and Progress reviews will be done at the scheduled time of the two technical inspections every Team was liable to disqualification if a considerable amount of plagiarism was noted the teams were evaluated upon the uniqueness, feasibility, implementability, and the final solution to the problem statement provided. The creativity will also be judged on the User Interface and the Pitching that every team does. Some teams were sent to the red list (Teams on the red list must work extra hard to avoid disqualification) after the first technical inspection. 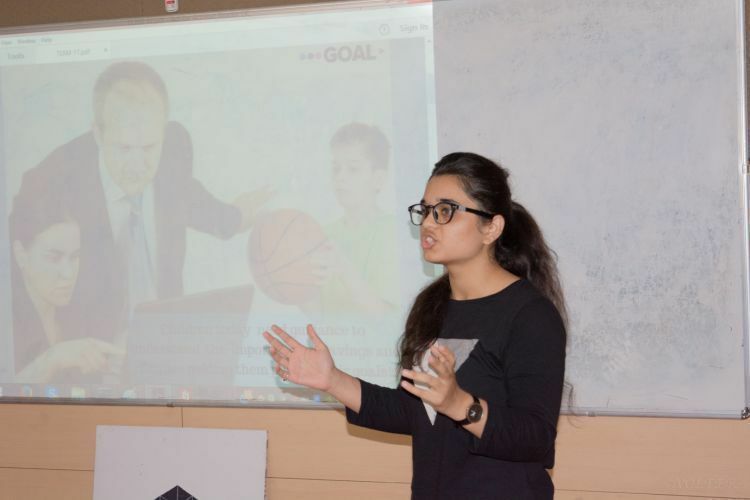 The Pitching Round’s order was decided on team’s performance in quizzes and the jury smartly counter questioned everyone. Prize Money was decided by the discretion of Jury. As time passed we saw a certain amount of exhaustion taking a toll on everyone, and any change was noticeable. There were various fun activities and meals which everyone enjoyed and this made sure that the whole event came through beautifully but it was not enough because the progression in the final hours led to a rollercoaster of emotions in everyone’s heart. Everyone in the participant’s seats was filled with an array of emotions some eyes filled with tears, some with excitement. By the time we reached the end of the day we saw people with tears of both joy and sorrow, people hugging and supporting each other but one thing that everyone had in common was the bond of unity in all the teams and the excitement for the results, eyes sparkling with silvery emotions and hands aching with the aftereffects of all the typing and designing people getting ready for the technical inspections arranging words not to pitch an idea but to explain a dream which took hours of brainstorming, kilocalories of energy and most of all the exhaustion of thirty-six hours. Then soon came the moment of truth, the most anticipated part of every competition the results were declared and the dignitaries were called upon to give the prizes. The First prize went to Team MojoJojo the Second Prize Team Invincibles and the Third Prize went to Team Zenith. 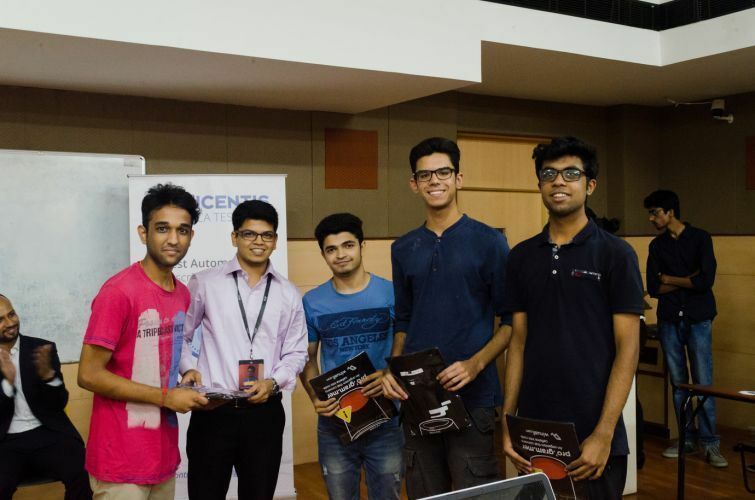 All the teams who performed the best in their particular tracks were also awarded and every participant was given a participation certificate. As the event ended in a spectacular fashion everyone parted ways but we all remember the inspirational figures who appeared throughout the event including Mr. Devdeep Bhattacharya the Vice President of Transitus, Banglore, he specializes in Engagement Strategy with over fourteen years of experiences as a learning and developing professional across industry segments. He is also a freelance trainer for film and media studies. Mr. Raj Mehrota he is the alliance Manager, India at Tricentis, Pune. 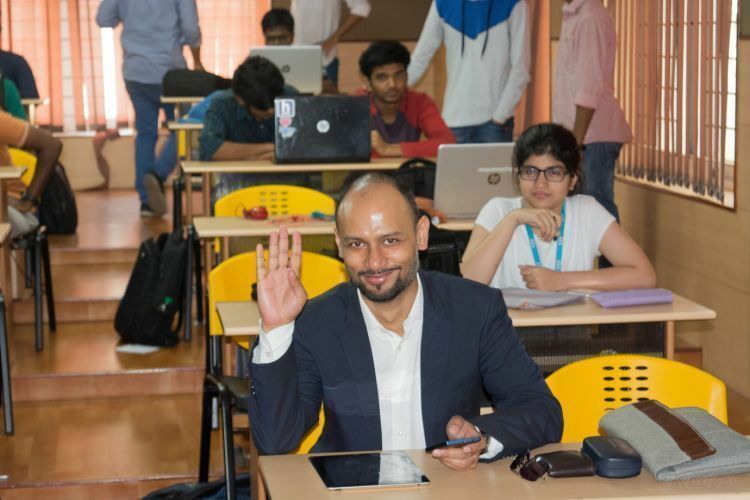 He joined Tricentis in 2016 and looks after Tricentis’ alliances with Global service integrators which include Moguls from Accenture, Infosys, Wipro etc. He also worked with WHO, The world bank, FICCI and CII planning managing implementing monitoring and evaluating all sorts of projects. 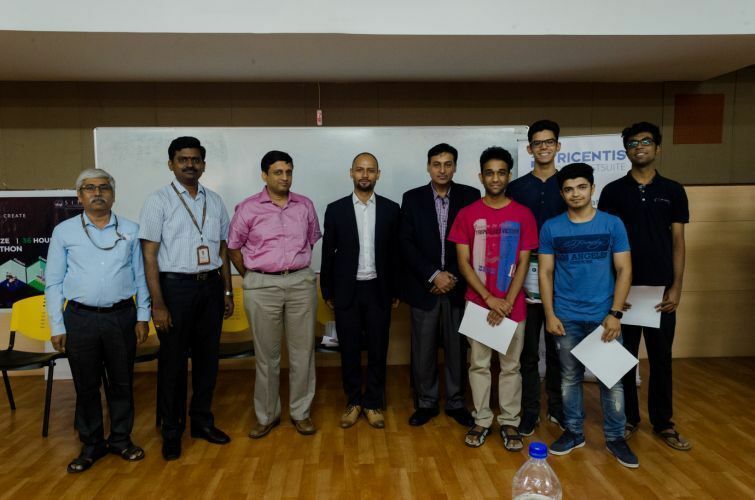 Mr. Chetan Pawar is the Associate solution engineer at Tricentis, Pune. 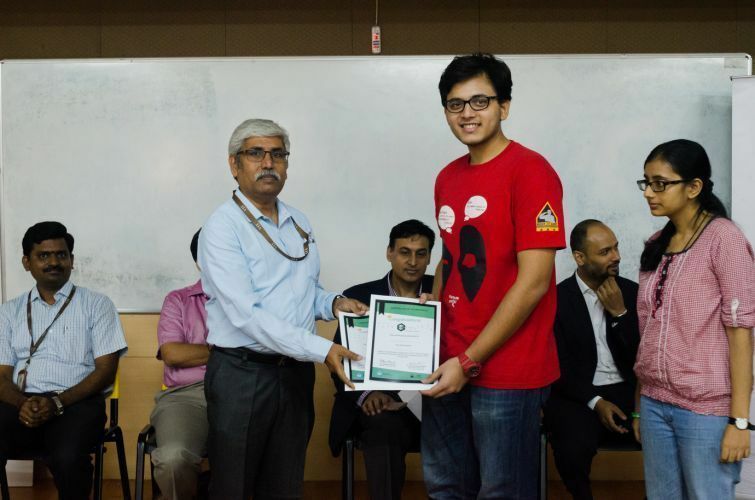 He completed his BE in electronics and telecommunications from Pune University. 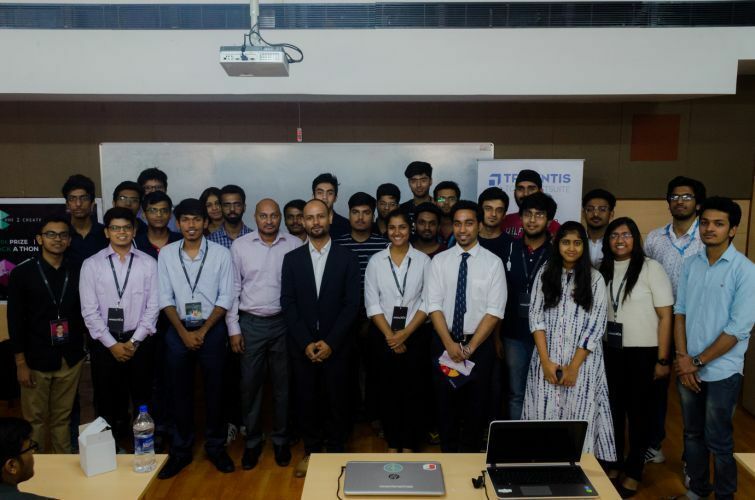 Vaibhav Patil is the Head at Tricentis India, Pune his morning speech on the fourteenth made everyone realize that they are important one way or the other.He gave a brilliant analogy for creating and assembling components of any product and pitching with creating idli. Venkatraman Chandashekharan is the Lead Trainer, automation Testing, Transitus Banglore. 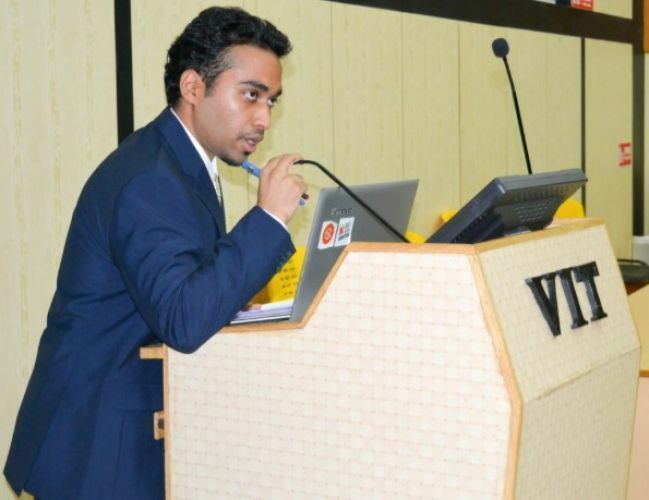 He grew close to Vellore and thus had a sense of belonging in this area he has an enormous amount of experience in IT industry and trained and certified more than 400 TOSCA Graduates.Venkat is the only certified Indian trainer for TOSCA TEST SUITE. At the end of the day, one can say that he/she was fully satisfied no matter where and what you came for. You cannot have a better exposure, competition, reward, experience and a lot of fun.